Episode 38 English. Ancient. Beet is short for Beetle. ??? "An ancient super shelled fighter who has a giant cannon of rumbling thunder!" ??? 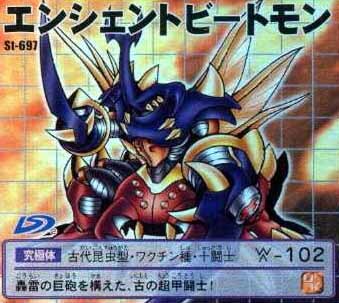 Notes: Ancient Beetmon was one of the Warrior Ten. He was reincarnated into the Spirits of Thunder, H and B.